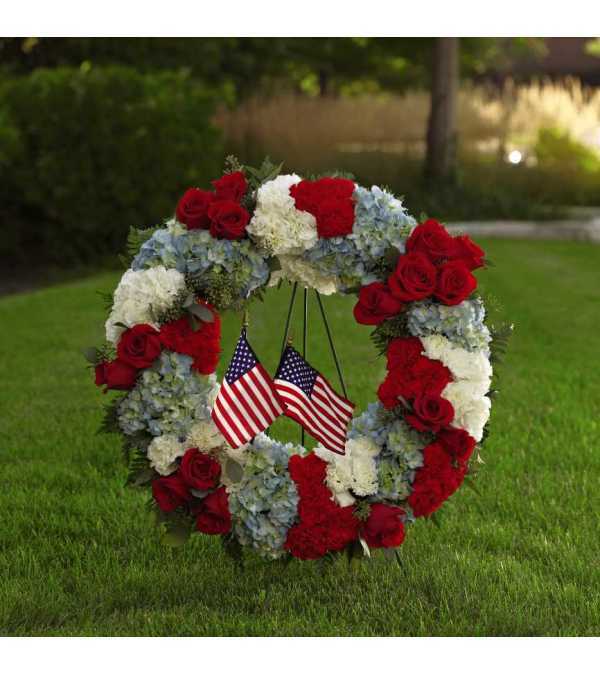 Pay tribute to a life lived in devotion and service to country with a red, white and blue floral wreath embellished with the beloved stars and stripes. 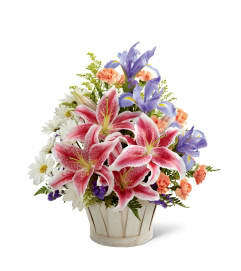 A fitting way to celebrate the life of a veteran, government worker or any American patriot, this beautiful, full ring of colorful flowers includes red roses, red and white carnations and blue hydrangeas, beautifully complemented by lush greens. It adds a tasteful salute of patriotism on a floor-standing easel at a wake, for funeral services and for graveside burial services. Approximately 28”H x 24”W.